I am excited to say I will be teaching in Dubai. The two classes I will be teaching are Under the Sea and Surprise Packages. To see my schedule for teaching go to Delightful Piecing. 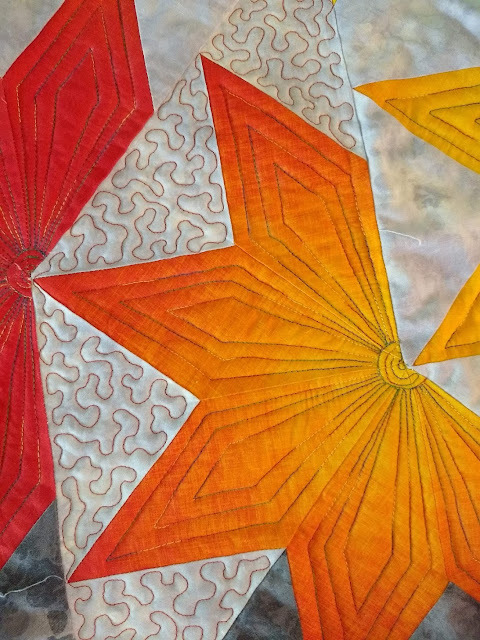 New Quilt E-Pattern 48" x 48"
Caribbean Delight is a new quilt e-pattern. 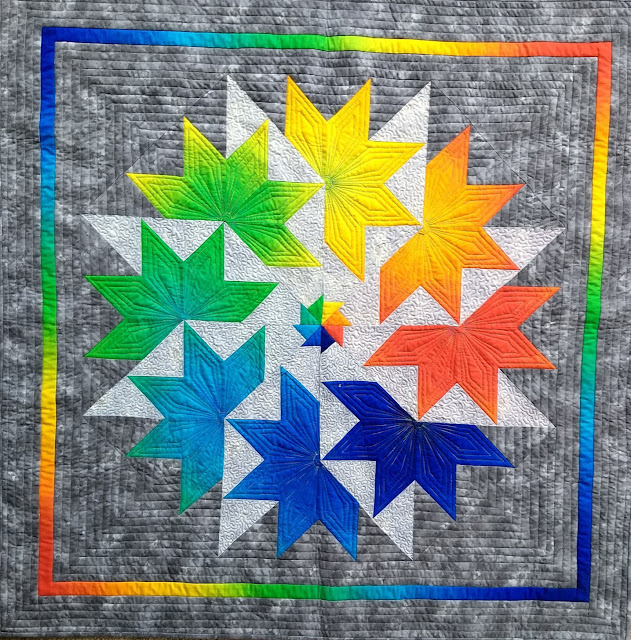 The ombre in this quilt is called Rainbow and is from Timeless Treasures. 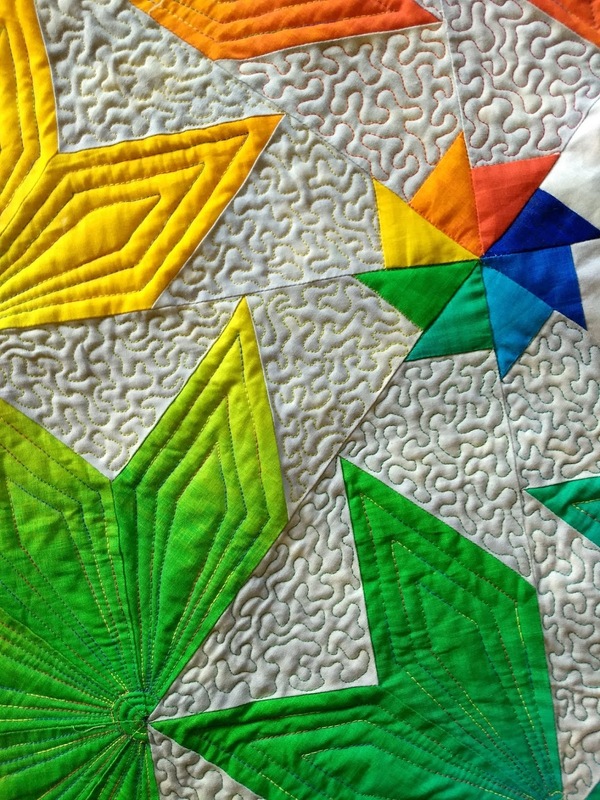 Here is a close up of the quilting. I used different colors of thread for each of the background stippling colors. 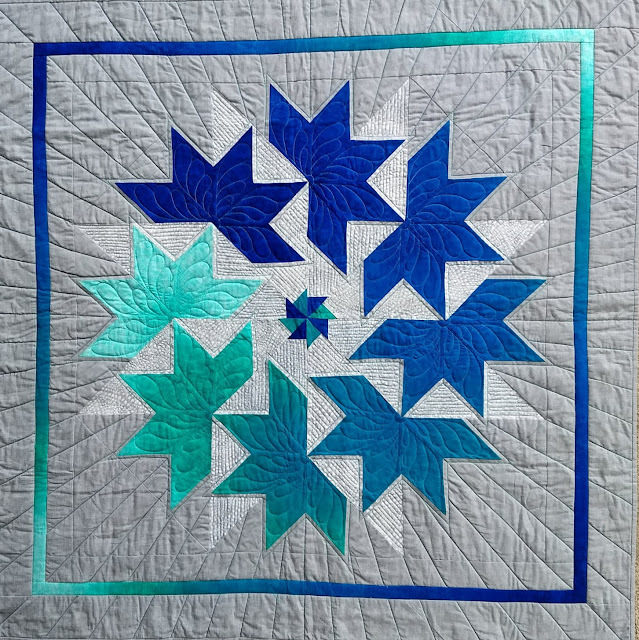 This quilt is quilted with radiant beams coming out of the center and I used peacock ombre for the stars. down until you see the pattern. With an e-pattern you print it and can have your pattern as soon as you receive it by email. 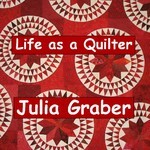 Thanks for sharing amazing blog with finest Quilt pictures. It's call dubai style. 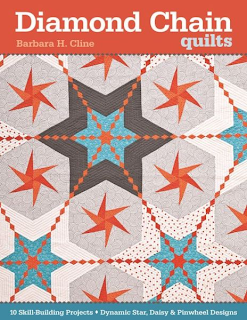 It will really help to all the users to know about Dubai quilt. Apply for Dubai Visa online and get your Dubai Visa in very short time.